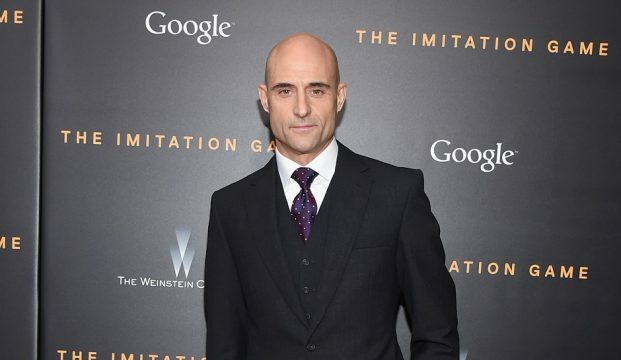 Casting on WWII thriller The Catcher Was a Spy has ended on a triumphant high note: Mark Strong has closed a deal to play Werner Heisenberg, the renown German theoretical physicist who gained notoriety after becoming one of the principal scientists fuelling the Nazi German nuclear weapon project circa 1939. Deadline has the scoop, confirming that Strong is the final addition to an all-star cast, one comprised of Guy Pearce, Paul Giamatti, Jeff Daniels, Sienna Miller (The Lost City of Z), Giancarlo Giannini and Paul Rudd as the titular character, Moe Berg. During the height of World War II, Berg, a multilingual pro baseball player, spent his time off the field moonlighting as a secret agent for the Office of Strategic Services – the governmental agency that would go on to become the CIA – accepting assignments all across the Caribbean, South America and even mainland Europe. Nicholas Dawidoff’s 1994 biography The Catcher Was A Spy: The Mysterious Life of Moe Berg will serve as the jumping-off point, with Ben Lewis on board to direct a script from Robert Rodat. All the pieces have fallen into place rather nicely, and given how well Dawidoff’s nonfiction novel was received, it’ll be intriguing to see how it makes the transition to another medium. With a starry ensemble in tow, The Catcher Was a Spy is now on the verge of entering production in earnest. A 2018 release date is likely the target for this one, though we’ll keep you posted if and when we learn more. Strong, meanwhile, has Kingsman: The Golden Circle in the tank for later this year. It’ll herald the return of Eggsy and another very familiar face on October 6th.